"The Haunting of Hill House," Netflix's dramatic horror series, is renewed for a second season. "The Haunting of Bly Manor" drops in 2020. I spent about two months toward the end of 2018 being terrified of: my apartment, my bedroom, noises in the hallway, mirrors, windows, and generally being alone and/or in the dark. What induced my obsessive terror? The addictive, engrossing, and, in my opinion, masterpiece show that is "The Haunting of Hill House," which premiered on Netflix last October. Though I typically hate horror, I was drawn to watch because I had read Shirley Jackson's books that inspired the series and figured that, like the book, it would be suspenseful and eerie but not all-out terrifying. Despite my ongoing fear while watching, the modernized take on Jackson's 1959 story got me hooked. Would the Crain family ever make it to the Red Room? Who left the buttons on Nell's eyes? How is it humanly possible for Steve to be such a d*ck? When I made it to the end, I was relieved – the story's narrative was complete and many reports said we were unlikely to get spooked again by the Crain family's experience with the Hill House in a second season. However, just as the show treats the house as the central character, it's only logical that a second season would follow not the Crains, but the house. The show announced on social media Thursday that Season 2 of the "The Haunting of Bly Manor," will premiere in 2020. The information is fittingly stark of real details, though we can draw clues by looking to the ghost stories of Henry James, written in the Victorian era and constantly drawing from the psychological implications of fear and terror. James' 1898 novella, "The Turn of the Screw," which has already seen dozens of film and literary recreations, was considered, at least at the time, the most disturbing horror story ever written. The new season's "Bly Manor" title, specifically, refers to the setting of James' story. 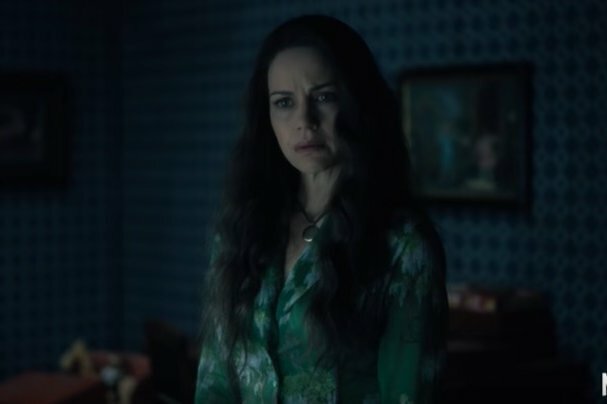 The renewal officially makes "The Haunting of Hill House" an anthology series, giving viewers a fresh set of characters and circumstances. Netflix has also entered into a multi-year, overall television deal with series creator Mike Flanagan, as well as executive producer Trevor Macy, which means there could be many new seasons to come. It also means I have at least a year to gear myself up for another round of self-induced torture.